Slicethepie.com is an exciting change of pace on the usual market research sites and survey opportunities. It allows users to help budding musicians get real feedback from listeners, and lets the listeners earn cash for their opinions. It sounds too good to be true, but unless you are expecting to earn a lot of money, it is as good as it appears. Combining love of music with cash payments? Is Slice the Pie Legit or a Scam? Slice the Pie is a site that began in 2007, so it has a good history. It is based in the UK, but listeners from all over the world can participate – as long as they can write reviews in high-quality English. Like most market research sites, it will not pay much for your time, especially when the money per hour is calculated. However, for so many people who love to listen to new artists it is the chance to get paid for a fun hobby. There is no points system – you earn cash, which is deposited into your PayPal account. Slice the Pie is absolutely legit, as long as you are prepared for what you are going to get out of it. Slice the Pie filled the need for artists to get real feedback on their music, and for music-lovers to give their opinions. Musicians use their sister company, SoundOut, to submit music and to pay for it to be reviewed. The money gained from those payments filters down to the reviewers. It allows previously unknown artists to get their music heard, and even offers funding opportunities for top-rated musicians and bands. Recently, opportunities to review fashion and mobiles have become available, and mobile apps are being developed as well. Payments made in US dollars. Anyone over the age of 13 who can write in good English is able to join. Scouts are given a piece of music to listen to, which is unlabelled to prevent bias. The scout must listen to at least 90 seconds of the clip before they can submit a review. The review consists of a rating out of 10, with a detailed written review on as many aspects of the song as possible. Scouts are paid depending on a number of different factors, which the Slice the Pie FAQ lists as: the quality and length of the review, member rank, and whether extra bonuses are being offered at the time. As an idea, gold ranking could earn you 15 cents per review – a small amount, but it does add up. Several measures are in place to stop scouts from rushing, including a mandatory minimum listening period of 90 seconds, and an “energy bar”, which loses bars when you move to a new piece of music, but slowly gains them back in between songs. If you are losing energy, you need to slow down and put more thought and detail into the reviews. Other than that, there is no restriction to how many songs you can review – if they are available, you can review them. Once the minimum of $10 is reached, Slice the Pie will pay cash into your PayPal account. You will need to allow for at least 5 working days, as your reviews are read by real people to make sure you are submitting quality pieces. It is important to remember that these reviews are being read by real musicians who might just be starting out, so keep that in mind and try to be honest but diplomatic with your writing. Slice the Pie has an automated systems that monitors many different aspects of your writing – the kinds of wording you use, the length of your reviews, how different the reviews are from each other (no copy-pasting here! ), and whether your rating matches your review. You will not be able to fake your reactions – between the computer systems and the real-life people who will read your reviews, you will be caught out and lose payment for your effort. I love listening to music, so I was very excited to hear about this opportunity. After filling out boring multiple-choice questions through other market research companies, the thought of being rewarded for listening to new artists was very welcome. I searched for “SliceThePie” and went to the website. The website looks very clean and well done, and the sign-up process was very easy. After confirming my email, I answered some survey-type questions on my personal information (such as marital status etc.) and some further questions on the type of music I preferred to listen to. While in theory this should mean that you have the opportunity to review music from a genre you personally like, in reality you are likely to encounter music from all genres. After answering the questions, I was immediately able to begin reviewing my first piece of music. I really enjoyed being exposed to new artists, and being able to write well-thought out reviews to hopefully play a small part in helping them to become a commercial success. As I started out on the lowest base rate of pay, the earning potential was not large. However, unlike most survey sites, I never felt bored or uninterested. I heard some great music and some not-so-great music, and was able to leave constructive feedback on all of it. I didn’t find it hard to write the reviews, but a few times I received a prompt telling me that the number rating I had given a song and my review did not match. After deciding that it was actually correct, I found I could resubmit the review without any problems. Unfortunately, at the time of my sign-up the fashion and mobile options were not available for review. As they are new areas, it might take some time before Slice the Pie has built up a large clientele. However, it is exciting to have another area to review in the future. Being able to listen on the go with the mobile apps will make it even more rewarding. Only pays directly through PayPal – no gift cards etc. Be detailed. 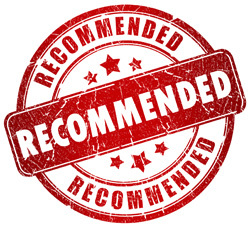 If your review does not have enough detail or is not long enough, you will be prompted to add to it. While you do not have to be familiar with complex musical terms to leave reviews, some areas that you could focus on might be the: beat, melody, instruments, vocals, production, commercial potential, lyrics, rhythm, or digital effects. Be open to new genres. Don’t give ratings based solely on your personal preference – think about the aspects of the music rather than whether it suits you personally. You will be given songs to rate that would never normally appear on your personal playlist, but give them a chance. Remember that you are reviewing for real people. Real people will read your reviews – both quality control reviewers and the artists who have presented their music for comments. Be honest, but make sure your criticism is constructive and not personal. Try to use diplomatic language where possible. Take your time. You might be tempted to rush, or to play the music while doing something else. In order to write a useful, detailed review you will need to focus. Set some time aside and think of the different stages of the song, the overall impression it gives you as well as specific features you can comment on. If you like new music, there is no doubt that you will love Slice the Pie. As a legit money-making opportunity and a chance to help new artists get feedback (and even possibly funding), any music-lover who can offer a coherent opinion should absolutely join up. It is a real way to contribute to the musical community and have a small but meaningful influence on upcoming music. When the fashion and mobile areas increase their availability, it will add another enjoyable aspect to using this website. 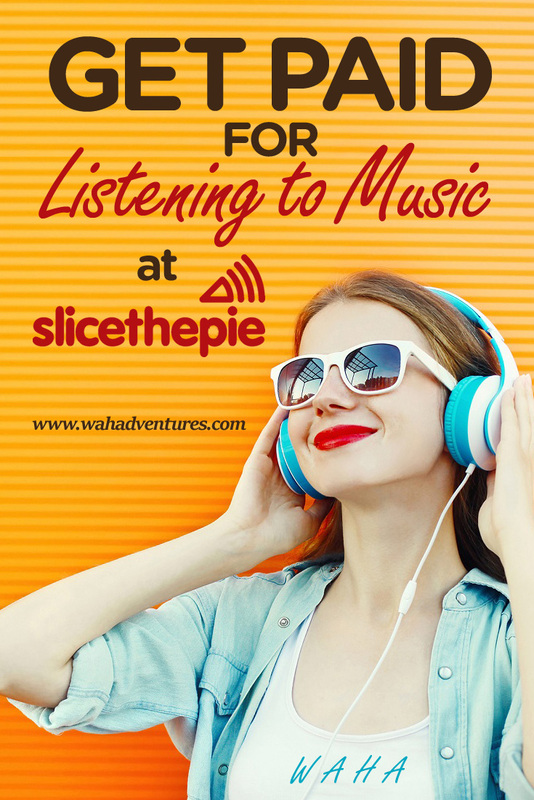 There are many different review sites but none quite like Slice The Pie, and people who love to listen to music in their spare time will no doubt be thrilled to hear that they can get paid for doing something they love – and helping new artists to achieve further success. As always with research sites, the earning potential is better suited to a hobby than a true job. I really enjoy using Slice the Pie, it is one of the most relaxing and rewarding research opportunities available. You should absolutely consider joining, and see what new musical discoveries are out there for you to find. What am I missing? I signed up, went into the 24/7 room and there's something that looks like a player there but there's no way to click the play button. Next to artist it says review to find out, next to track it says review to find out and at the bottom it says you can review once 60 seconds has played. Only there is nothing playing and I can't click any of the buttons. I am not sure what may be the issue. I just signed in and went to the 24/7 scout room. It allows me to play. This may be simple, but have you tried refreshing your screen? If things are working correctly, you will see the "60" on the screen and the play button will be able to be clicked…or if you hover the play button with your mouse it will change colors. I had the same problem. I just left the screen up for about 5 minutes and then it let me play a song. I was rating on Slicethepie until one day when it didnt alowed me to visit the site. it sayed 403 forbiden… later i found that it is becouse of area where i am (SERBIA). Some other states have same problems. Is there other web sites where i can rate music like on STP? Thank you. I am in webhunting 🙂 so i’ll chek your friends site right now. Jambuzzer is confusing to me so i’ll try it some other day. There is one more place, its MusicXray.com i think, but it’s to slow to make progres. Got to go now. Buy and tnx again. I believe I applied for that site quite some time ago, probably a year ago and never heard back. Maybe I will try again. Thx!